My ongoing attempt to post regularly. I saw this location in the morning and the skies were crystal clear. I had hoped for the same in the afternoon but by the time I returned the clouds had set in. 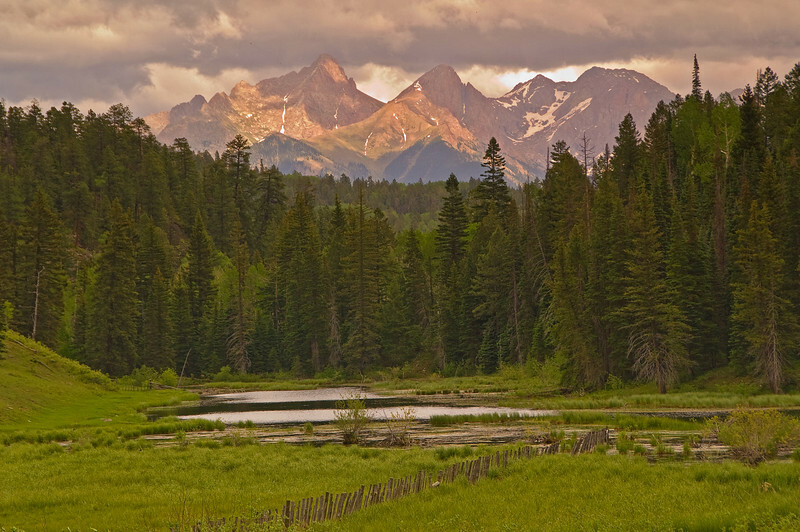 I was lucky to get a bit of light on the peaks. 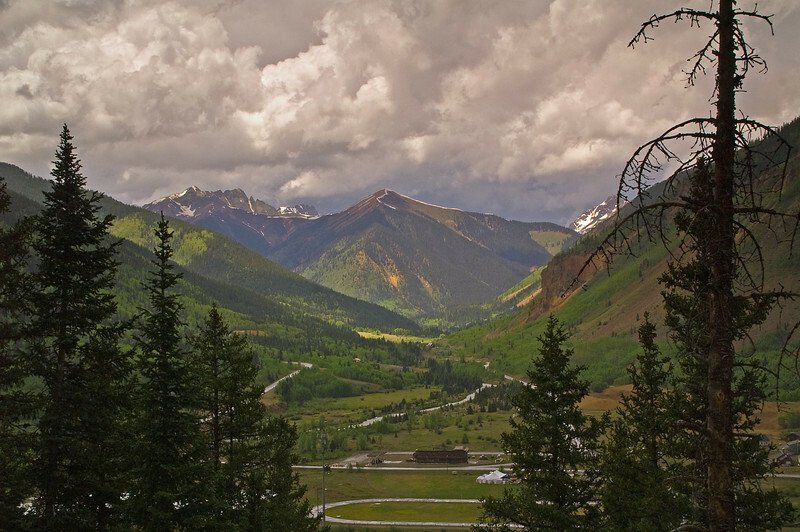 It is raining hard in Silverton, CO yet as I point my camera to the west I see sunshine illuminating the mountain pass to Ouray, CO. One of the many reasons I love Colorado. Well, I see my daily attempt derailed in June as this is only the 11th picture I've posted this month. I hope to do better. 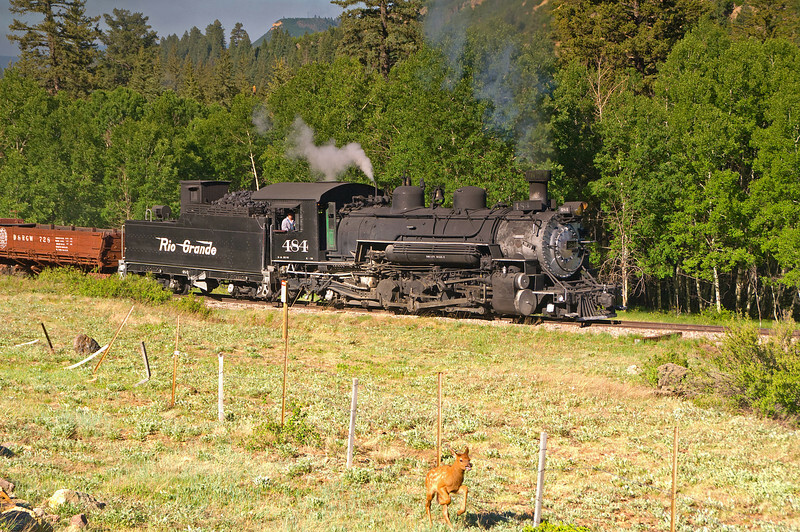 Rio Grande steam engine 484 scares a baby elk from hiding as they head up the 4% of Cumbres Pass on the border of New Mexico & Colorado. 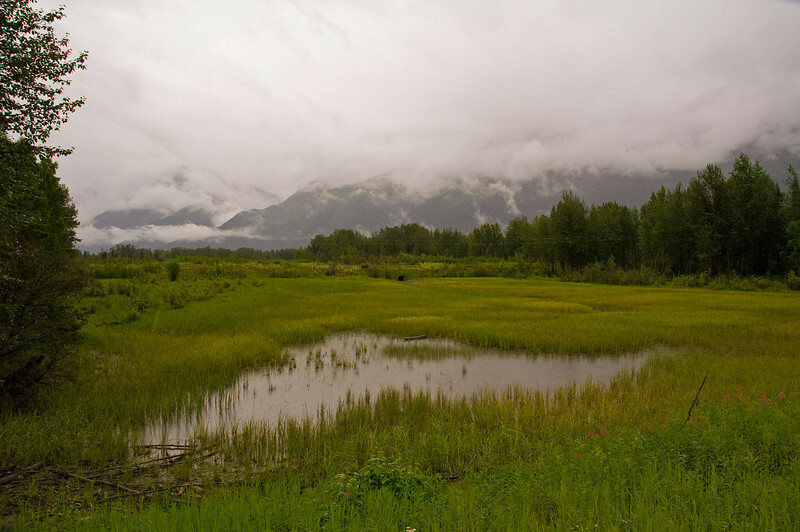 During my trips to Alaska I never knew what was in store for me weather wise. No matter as what ever it was the resulting photos were always worth it. On a cloudy rainy day the low lying clouds cover the majestic mountains tha you can just get a glimpse of through the fog and mist. 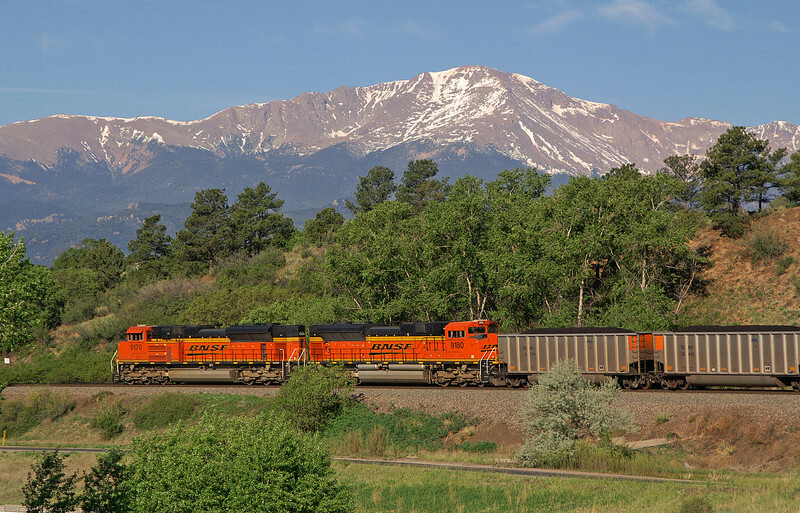 Railroad traffic is starting to pick up in Colorado. 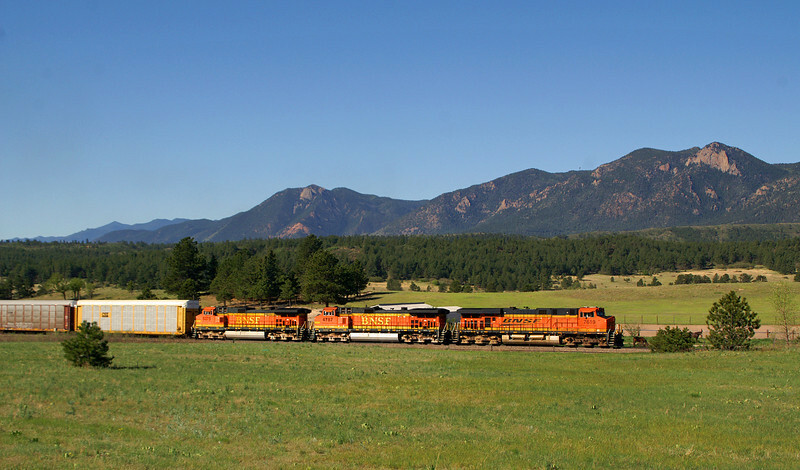 A northbound auto train rolls through Monument in the background is Mount Herman. 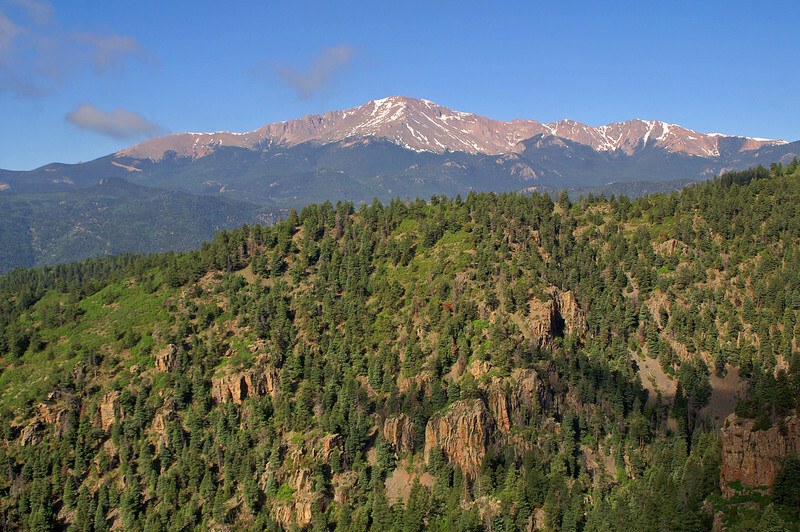 Pikes Peak is such a wonderful subject for those of us in the region. It can be seen from so many varied locations I never tire of photographing this wonderful monument. 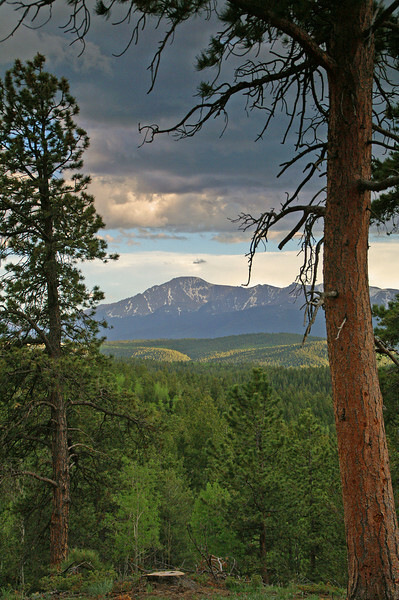 Pikes Peak as seen from Pike National Forest. 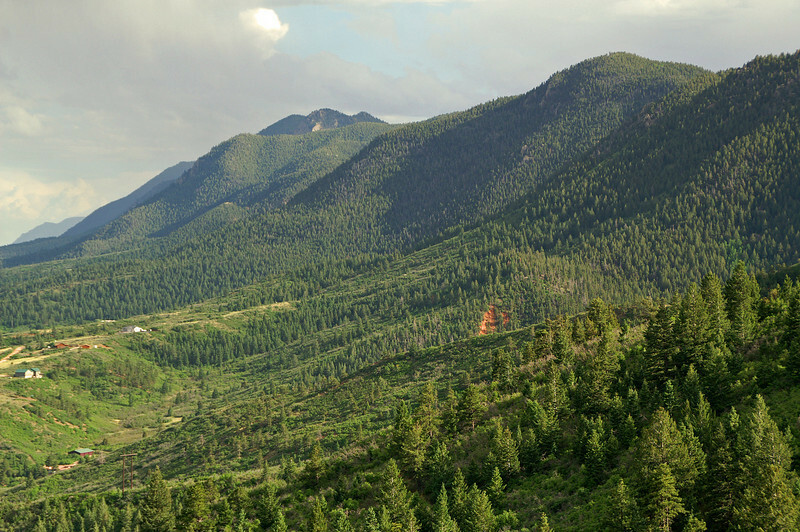 Colorado's Front Range as seen from Mount Herman Road on a stormy spring afternoon. 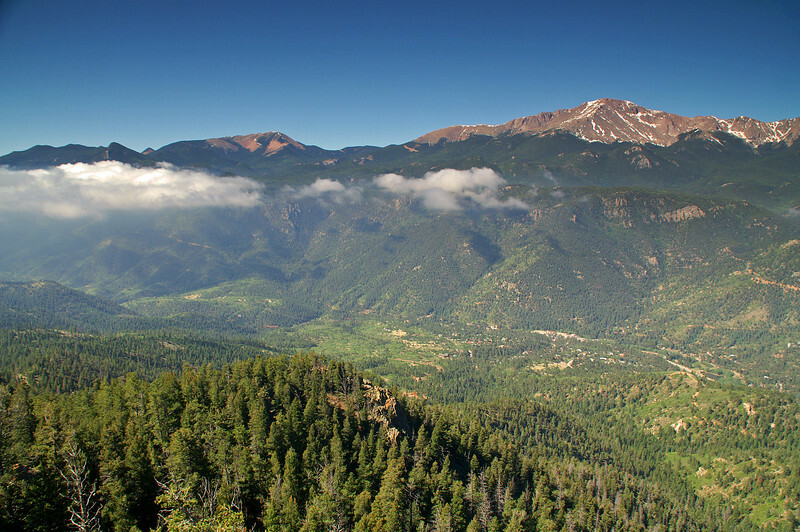 Pikes Peak stands watch over Pike National Forest. 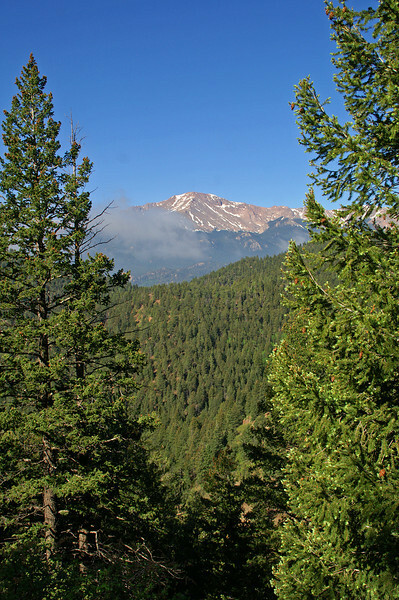 The diagonal slash on the left shoulder of the mountain just below the tree line is the Pikes Peak Cog Railway's line to the summit of Pikes Peak. This line is truly an engineering marvel. 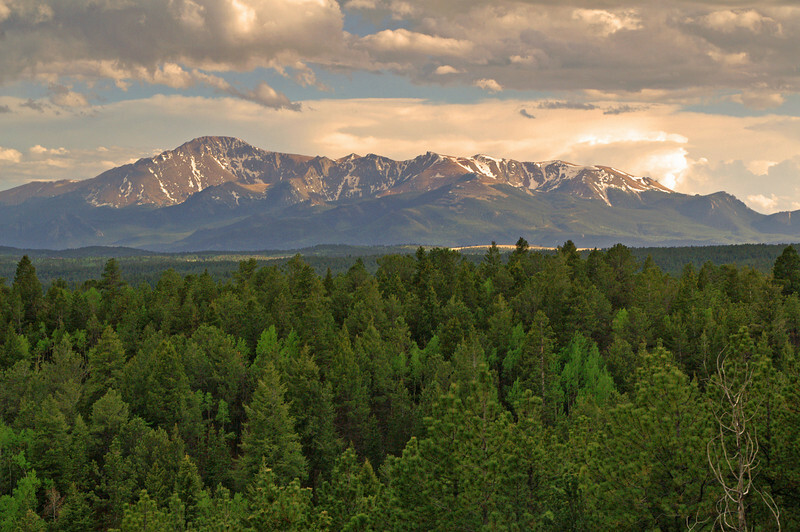 The end of day reveals a nice view of Pikes Peak as seen from the north along Mount Herman Road. 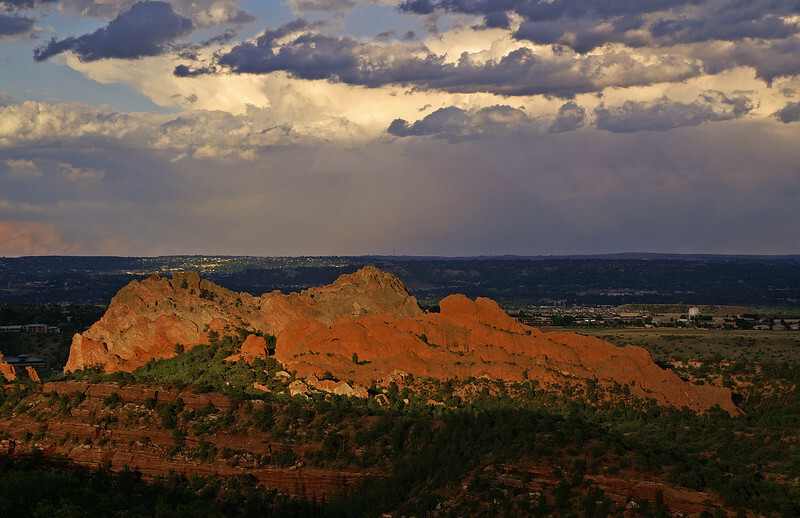 Another view of the most famous landmark in the Colorado Springs area. 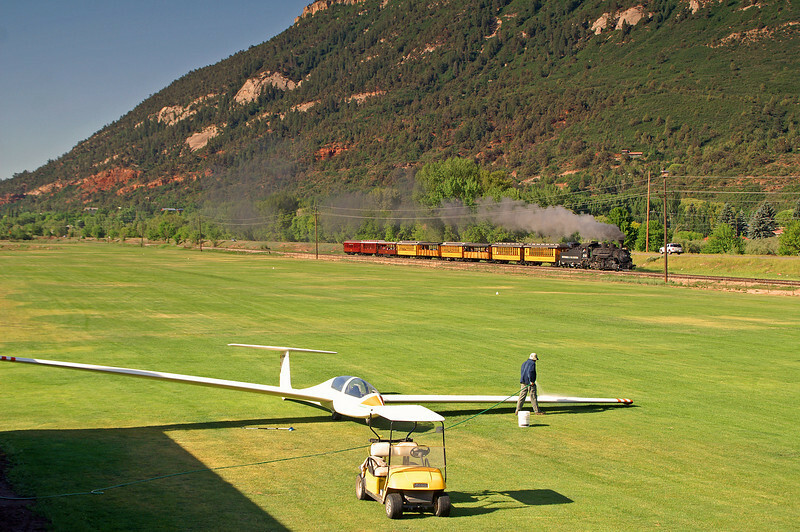 In this photo I combined two of my favorite subjects, trains and Pikes Peak. Taken on a beautiful Memorial Day.